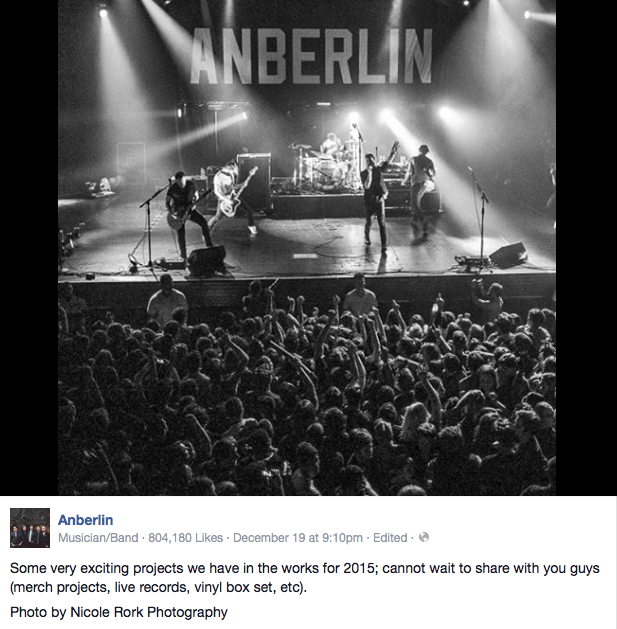 Despite performing their last show earlier this year, Anberlin are sticking around for a little bit longer. In 2015, fans can expect a plethora of new goodies, including vinyl box sets, live albums, merch and more. Earlier this year, Anberlin released their last studio album, Lowborn, which boasts 10 speaker-shaking songs of anthemic proportions. You can read a message from the band below. What are some of your favorite memories of the band? Did you have the opportunity to catch any of their last shows? What’s your favorite album? Let us know on Facebook or in the comments! Watch Anberlin’s farewell with their “We Are Destroyer” video.